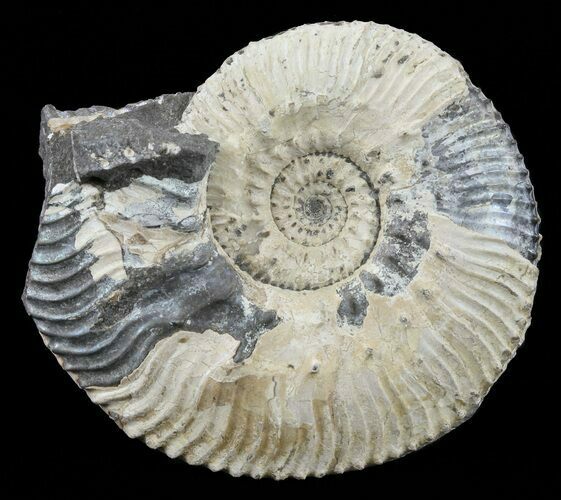 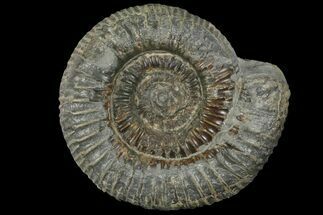 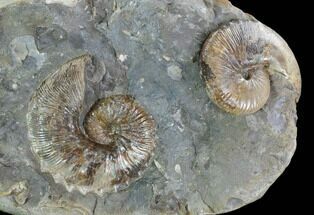 This is a 1.8" wide Kosmoceras (Guliemiceras) jasoni ammonite from Ashton Keynes, Gloucestershire, England. 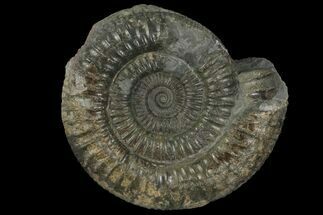 The ammonite is beautifully prepared in the matrix in which it was found. 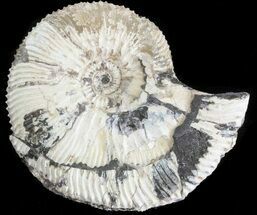 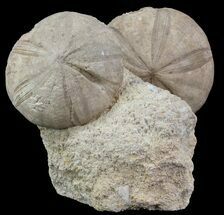 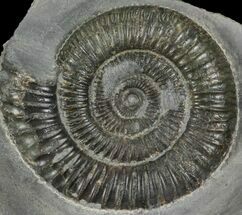 They are often found in clusters which can lead to parts of other ammonites or gastropods to become part of the matrix. 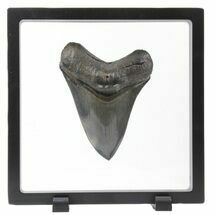 This makes each specimen unique and truly one of a kind.